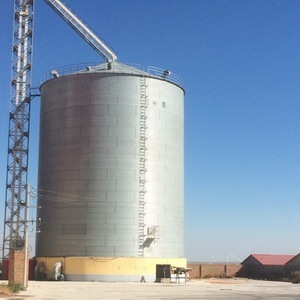 High strength grain silos prices 1: Steel silo project used as storage maize, corn etc ,to transfer raw material to feed plant . 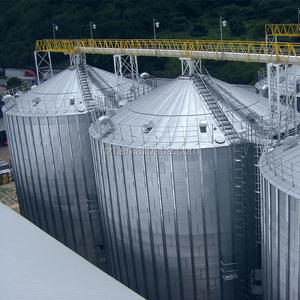 There are special equipments on the silo roof such as natural vents, manhole, roof ladders and secure cages and so on . 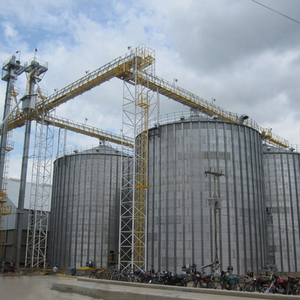 The assembly silo is equipped with relevant accessories, such as conveyor, ventilation and monitoring devices, etc. Grain silo 1. Turnkey project 2. Finance solution 3. Capacity: as requirement 4. Raw material: Wheat, maize, rice etc. We can offer the complete package of design, manufacture & erection of your storage facility. Grain silo 1. Turnkey project 2. Finance solution 3. Capacity: as requirement 4. Wheat, maize, rice. 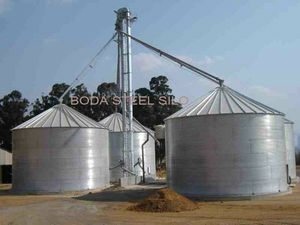 Alibaba.com offers 4,027 grain flat silo products. About 96% of these are silos, 1% are cement making machinery, and 1% are other construction machinery. 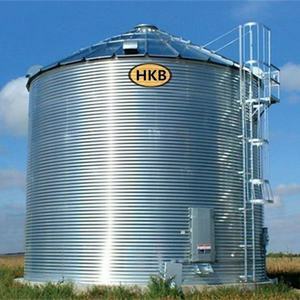 A wide variety of grain flat silo options are available to you, such as free samples, paid samples. 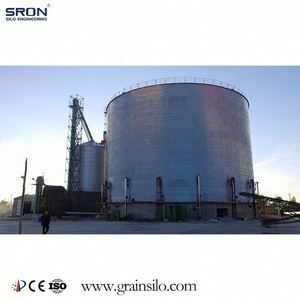 There are 4,026 grain flat silo suppliers, mainly located in Asia. 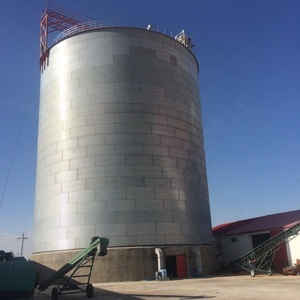 The top supplying countries are China (Mainland), Turkey, and India, which supply 99%, 1%, and 1% of grain flat silo respectively. 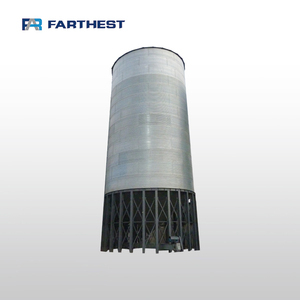 Grain flat silo products are most popular in Africa, Domestic Market, and South Asia. You can ensure product safety by selecting from certified suppliers, including 1,658 with ISO9001, 1,220 with Other, and 3 with OHSAS18001 certification.